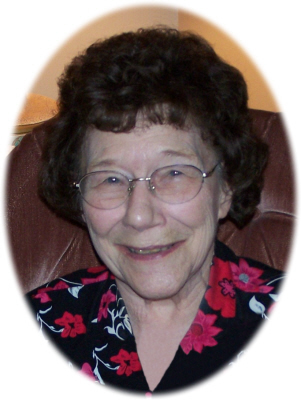 Dolores Catherine (Simon) Schueller age 89, of St. Johns, MI, passed away Tuesday, November 27, 2018 at Country Living AFC Home, Portland, MI. A Mass of Christian Burial will be held at Most Holy Trinity Catholic Church, Fowler, MI, on Monday, December 3, 2018 at 10:30 A.M., with Rev. Fr. Dennis Howard officiating. Burial will take place at Most Holy Trinity Cemetery, Fowler, MI. Visitation will be held on Saturday, December 1, 2018 from 4:00-8:00 P.M. and also on Sunday, December 2, 2018 from 2-8 P.M. with family present from 2-4 & 6-8 P.M. at Smith Family Funeral Homes - Goerge Chapel, Fowler, MI. Rosaries will be prayed on both Saturday and Sunday at 7:30 P.M at the funeral home. Dolores was born in Westphalia, MI on February 8, 1929, the daughter of Frederick and Dorthea (Thelen) Feldpausch. She married Bernard A. Simon on March 27, 1951; he passed away on March 15, 1971. She married Bernard Schueller on August 14, 1976; he passed away April 20, 1990. She enjoyed playing cards, puzzles and crocheting. Dolores spent countless hours maintaining scrapbook records of local events. Most of all she loved the time spent with her family. She was a member of Most Holy Trinity Catholic Church and Christian Mothers Association. She is survived by her children: Sharon (Thomas) Hall of Round Lake, IL; Alan Simon of St. Johns, MI; Glenn (Laureen) Simon of Fowler, MI; Lyle Simon of St. Johns, MI; Audrey (Kevin) Feldpausch of Westphalia, MI; Wayne (Jayne) Simon of Charlotte, NC; brothers: Jerome Feldpausch and Francis (Marie) Feldpausch; sisters in law: Regina Feldpausch, Anna Feldpausch, Frances Thelen, Regina (Harold) Simon, Joan Simon, Bernadine Martin, grandchildren: Rebecca Caswell, Jeslane Holmes, Victoria Holmes, Lisa Werner, Bernard Simon, Brian Simon, Laura Johnson, Eric Simon, Matthew Simon, Brent Feldpausch, Melanie Spitzley, Paige Feldpausch, Staci Feldpausch, Alex Simon, Nicholas Simon, and 15 great grandchildren with one on the way. She is also survived by several nieces and nephews. She was preceded in death by her parents, husbands, granddaughter Jennifer Simon, 3 brothers: Elmer, Marvin, and Hilary and many in laws. The family would like to express a special thanks to Jodi Simon, the staff at Country Living AFC and Hospice of Lansing for the wonderful care they provided to our mother. Memorials may be made to Most Holy Trinity Educational Trust Fund, Fowler, MI. Online condolences can be sent to www.smithfamilyfuneralhomes.com. The family is being served by Smith Family Funeral Homes - Goerge Chapel, Fowler, MI.